But really, if there are musicians' musicians (eg pianist Hank Jones, never a household name but very highly rated by his peers) and actors' actors (eg the now almost forgotten Robert Ryan, who Scorcese called one of the greatest actors of all time), surely there must be the architects' architects. Jazz music and film acting are no less 'subjective' arts-crafts than gca, and like architects, pianists and character actors work in fields/mediums that involve many other people and where so much is beyond their control. So again: cutting through all the real or imagined 'issues' with such a ranking, aren't any of the professionals here willing to tell us simply and clearly who the 'architects' architects' are? I must be missing or misunderstanding something pretty fundamental in this discussion, 'cause I honestly can't understand what's so hard about that. 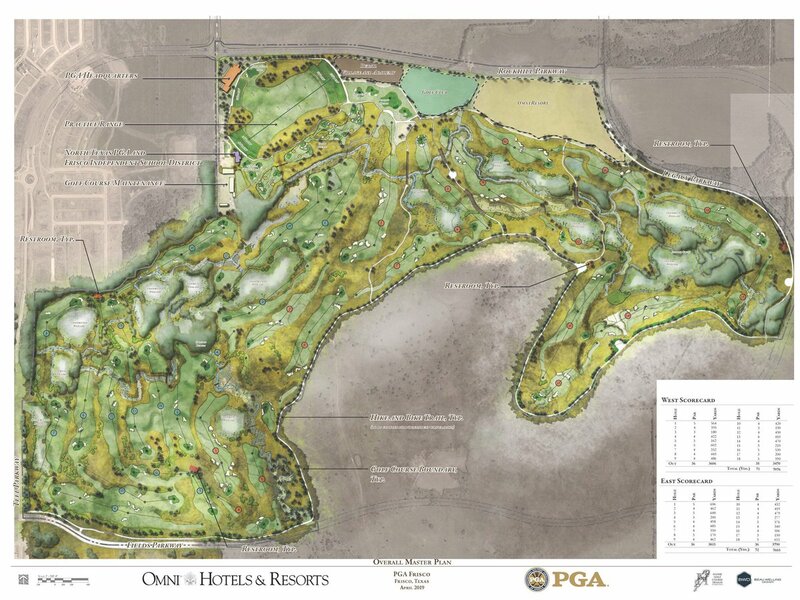 Two courses one designed by Gil Hanse and another by Beau Welling. A practice facility and a short course also included. If you want to reward per cent of excellence, you could count tournament, top 100 as suggested in my first post, with a second ranking based on % of recognized courses vs. total portfolio, adding a category. Tom Doak (guessing here) could be 4/40 or 10%. Tom Doak was kind enough to show me a good portion of the course recently (mostly the back nine). Significant change to the feel of the place. I think Houston golfers will be happy. Golf Course Architecture / Re: What makes someone an expert on something? Know how to apply what you do know. Einstein thought if you could explain something complicated to a child, it was a sign you really understood your subject. It would be nice to see guys hit 6 or 7 iron into 16. We all remember Jack’s 5 iron in 1986, which is equivalent to a 6 or 7 iron today. Part of the reason for my comment is because the hole today is listed as 170 and it was 179 on Sunday. In old broadcasts you hear the announcers say the hole is 190 yards so I was wondering if they moved the tee box up a little over time for better spectator flow. I read a while back that they moved the back tee up to build grandstands for the fans. Is today's 7 iron really the same as a 1986 5 iron? For some equipment manufacturers and iron models, yes. Pitching wedges used to be 50 degrees and today some are as low as 44 degrees. Some 7 irons are 31 degrees today vs I believe around 30 degrees for old 5 irons. What about length of shaft/grip? Is today's 7 iron the same length, top to bottom, as the earlier-generation 5 iron? If pure numbers of design projects at one point each gives Ross, JN, etc., too much of a lead, you could give 0.1, 0.25 or 0.5 points per course instead of 1, depending on the weight you give architect longevity. That said, not sure a "years active" category shouldn't be added. Again, might make a few points differential. If you wanted to favor the old guys, you could give a point for each year any of their courses existed. Merion, designed in 1913, would get 103 points over Pacific Dunes which gets 19. Would have to update each year. If that favors old guys too much, could do course longevity by one point per decade, with Merion getting just 10, vs PD at 2 (in a year) You could even do every year by a tenth, so Merion could be 10.3, etc. with computers, partial points should be no problem. If you want to reward per cent of excellence, you could count tournament, top 100 as suggested in my first post, with a second ranking based on % of recognized courses vs. total portfolio, adding a category. Tom Doak (guessing here) could be 4/40 or 10%. I might be 2-3 for 60 for 3% or so. Of course, you would have to debate what constitutes recognition, maybe having at least two current magazines rate you courses i some way, etc. Factoring in historical rankings would be a project in itself. Anyway there is some merit, at least as much as the mysterious systems Adam mentions, and there would be some transparency, although endless debates as to what should be awarded points. The biggest problem would be finding a semi retired architect or editor, probably assisted by a bunch of college grad student assistants, to even attempt this more quantifiable method. Side note, I actually developed a similar system for quickly evaluating courses for consulting reports, coming up with a dozen design criteria I look for, and starting with a point for each on every hole, of a total of 216 maximum points. For example, short walk between green and tee is a criteria. A core course would probably get all 18, and a housing course would probably be much less. 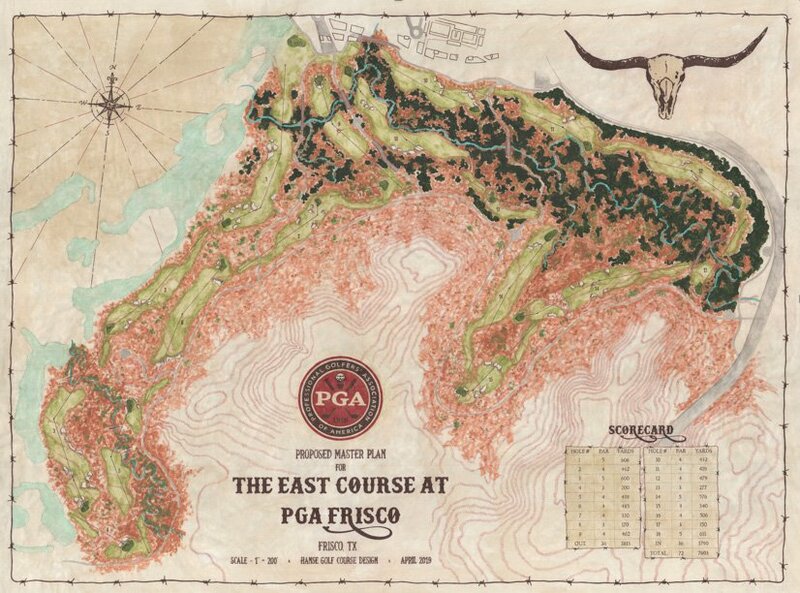 Even the core course, a full point would be for less than 200 feet center to center, a half for under 300 feet, etc. There is obviously some judgement for categories like "uses topography well" but for the most part, if it isn't downright awkward or ugly, it gets the point. I also added a point for "ambiance" and "exceptional". And the final ranking would be a percent. I supposed the last part would be to give a course with 90% an A, 80-90% a B, etc. Again, I never actually applied this, except as a test of some of my own courses just to see if it worked out as I would expect. I think it did, but then, was I too easy or too hard on my own work? Mostly, these list ideas are a result of long plane flights when I can't sleep. John Connally gives another great potential for architects - did they write anything of value? And bonus points if they wrote and a statement makes you spit out your milk. Here's a few quotes from the Top 100 Architects page - They clearly state they don't attempt to RANK the architects. "...we decided to ...define a scoring system such that we could reasonably identify the Top 100 Architects." "We’ve stopped short of actually ranking the architects, as we felt that might be a step too far." And, as Tom said, ranking architects "...seems pointless to me. ... I prefer to rate courses, not architects". Why try to come up with a ranking now? They put together what I think is a pretty nice piece of work. If you look at the bio for each architect it has a list, with photos, of courses the architect designed. I haven't seen anything like this before so I think I'll just say "Thanks, Top 100!" and now we have a place to find 100 "Top" architects and their courses. Yes, they said they didn't rank the architects. But then how do you explain grouping them in pages of ten, and putting the photos in the order that they did? It sure isn't alphabetical . . . or chronological. They were just trying to avoid scrutiny with their disclaimer, but it was clearly a data-driven exercise, even though their data set is a very mixed bag. P.S. I am sure some architect will add to their web site shortly that they were named one of the top 100 architects . . . the only question is who will consider that a career achievement?